Khaled became a war reporter not because he wanted to make a career, earn more money, or even because of his dedication to his profession, but because he loved his homeland, and he loved the truth... We will award the prize to resilient, courageous war correspondents, whose work, which endangers their lives, and demands unparalleled selflessness, helps — whether this year, a year or a decade down the line — to shed light on the horrors that war brings to a land. Established in memory of independent war correspondent Khaled Alkhateb, RT’s Khaled Alkhateb Memorial Awards for Best Journalism from a Conflict Zone honor the brave work of those media professionals and organizations who strive to shed light on the complexities and ramifications of continuous war and armed conflict. Through their journalistic efforts, these reporters and professionals provide a better understanding of the harsh realities endured by those areas currently suffering in the hope that, with the help of this knowledge, peace is possible. Incidentally, «Khaled Alkahateb» means «immortal orator» in Arabic, and we hope that these awards will keep alive not just Khaled’s name, but his life’s work, so symbolically embodied by it. Khaled Alkhateb was working for RT Arabic as a freelance correspondent when he was killed by an ISIS shell in the eastern suburb of Homs, Syria on July 30th 2017. 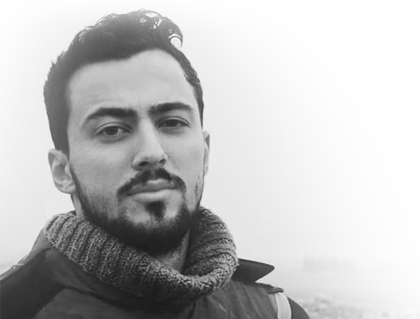 At just 25 years old, Khaled was already a well-known local journalist when he began freelancing for RT in April 2017. At the time of his death, he had been reporting on the efforts to defeat the terrorist group Islamic State. Since the Syrian Civil War began in 2011, more than 100 journalists, including Khaled, have died while reporting from the area of the conflict. In honor of Khaled’s memory — and of all those who risk their lives out of commitment to truth as a conduit for peace — these awards were established by RT’s Editor-in-Chief Margarita Simonyan. RT IS A GLOBAL, AWARD–WINNING TV NEWS NETWORK THAT BROADCASTS 24/7 AND COVERS STORIES OVERLOOKED BY THE MAINSTREAM MEDIA WHILE PROVIDING ALTERNATIVE PERSPECTIVES ON CURRENT AFFAIRS AND ACQUAINTING AUDIENCES WITH A RUSSIAN VIEWPOINT. © Autonomous Nonprofit Organization “TV-Novosti”, 2018. All rights reserved. Editorial address: Moscow, Borovaya street, 3k1.